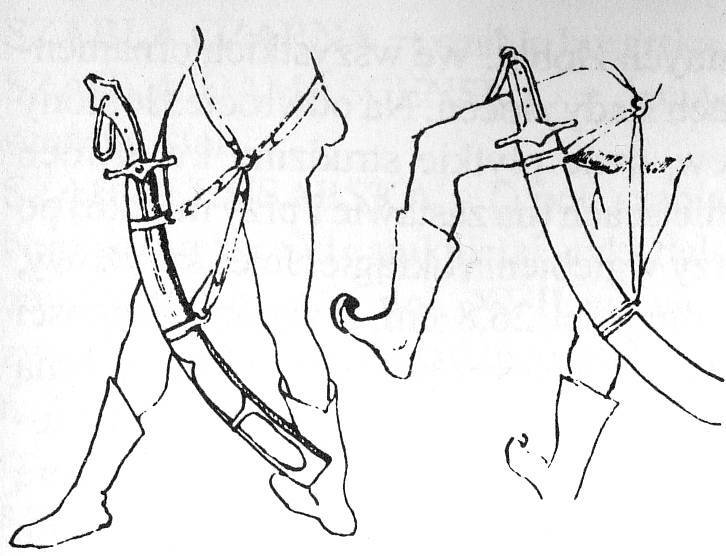 Forum Index > Historical Arms Talk > Pics or Info on Medieval Sword-hilt Sabers? Posted: Thu 19 Mar, 2009 11:03 am Post subject: Pics or Info on Medieval Sword-hilt Sabers? I'm referring to the curved saber that has a hilt much like a typical medieval European arming sword. The one that's tip disappears behind the pistol barrel at the bottom of the photo. Can anyone provide any background, or sources to investigate, on either of these two swords and/or any others of similar hilt and blade design? I'm particularly interested in finding examples that have a saber or kilij-like blade with a yelman, combined with a typical European-style hilt. I realize that some dussacks technically fit this description, but I'm interested in swords with longer and somewhat thinner blades. you might should like for some 'kriegsmessers'. Thank you. I really have a love affair with messers of all sizes. And those are beautiful. But this particular project is concerned with sword-hilt sabers. In particular, with something resembling early Hungarian or Polish sabers with a modest, or even pronounced yelman. I'm trying to find out how common, or even if it would be plausible to find a European saber with a yelman and a sword hilt dating from the 15th or 16th century.